NEW YORK -- At Ridgewood Savings Bank, we are committed to multiplying the good in banking. So we've asked our financial experts to share some tips for realizing the full potential of your checking account. These tips can help you manage spending, earn bonus cash, and much more. Choose an account that fits your needs. Most people need one with access to a large ATM network. ATM fees add up over time and that can cost you. Ridgewood offers checking customers' access to more than 55,000 surcharge-free ATMs with their Debit MasterCardTM. To get more info about checking accounts at Ridgewood Savings Bank visit RidgewoodGood.com. A financial management tool like FinanceWorks can help you spend smarter. Create budgets and set spending limits for specific categories like shopping, utilities and travel. You can also link your checking account and get email alerts to track budgets and pay bills. To encourage better budgeting, we offer you complimentary access to FinanceWorks when you open a checking account. Reviewing your transactions on a regular basis will give you a clear picture of your financial situation, which can help you stay on top of your spending. Checking your balance can help you avoid mistakes. So, before making that impulse purchase, check your account balance to ensure you have the funds to cover the expense. We make it easy for you to access the account information you need, fast. You can check balances and view transaction history from your phone with the Ridgewood Mobile Banking App. You can also set text alerts that automatically notify you whenever your account has a low balance, or when a large withdrawal or deposit occurs. A little cash in a savings account can have a big payoff when it comes to dealing with life's unexpected expenses. One of the best ways to stay prepared for the future is to link your checking account to a savings account. Some Banks, like Ridgewood Savings Bank, offer a service that allows you to use available funds in your linked savings account to cover your expenses if you accidently overdraw your checking account. You can avoid a potential costly or embarrassing situation if you have some money set aside. Plus, money you put in a savings account can earn a competitive interest rate until you need it. Filing papers can be a pain, so take advantage of electronic statements. Just download your monthly statements to a dedicated folder on your computer and they'll be there whenever you need them. Plus with Ridgewood Savings Bank, when you sign up for eStatements, your basic checking account will qualify for no monthly service charges. Many banks will take your business for granted, but at Ridgewood Savings Bank we promise to make banking with us worth your while. We have two rewards programs to thank you for choosing us as your bank. You can get great stuff by earning Ridgewood Rewards Points on everyday purchases when you use a Ridgewood Debit MasterCard. 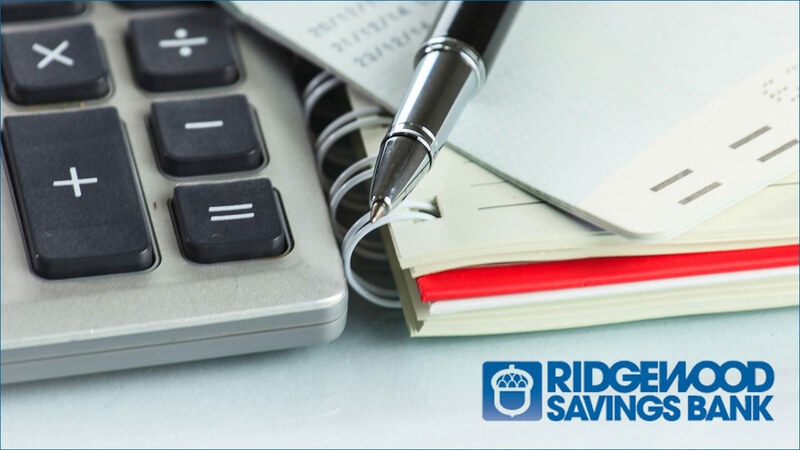 A checking account at Ridgewood Savings Bank also allows you to sign up for cash back deals on select purchases when you use a Ridgewood Debit MasterCard. Ready to get started? Open a checking account at Ridgewood Savings Bank and start banking like a pro. To learn more about banking with Ridgewood, visit RidgewoodGood.com. Terms and conditions apply, and are are subject to change without notice.